The Shippensburg Community Fair Frank Lerew Memorial Scholarhip was first formed and awarded in 2008. The fair scholarship was named after Frank Lerew, founder of the fair, in honor of his 50 years of service as president of the organization. 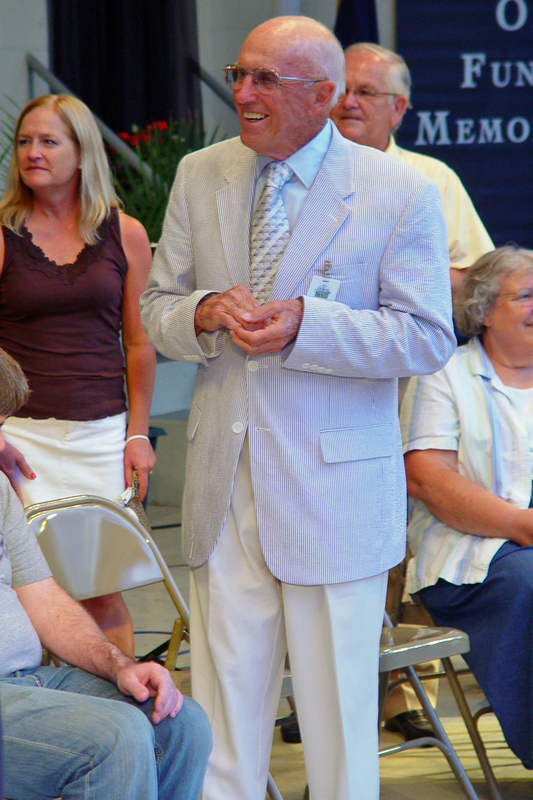 Upon Mr. Lerew's retirement in 2007, the Board of Directors elected to begin a scholarship program to award and recognize upcoming youth in the community. Following Frank's death in 2016, the scholarship serves as a way to honor his tireless contributions to our great town. The Frank Lerew Memorial Scholarship is currently valued at $1,000 and is awarded to one well qualified student each year. The Frank Lerew Memorial Scholarship is awarded annually to a graduating senior of Shippensburg Area Senior High School (SASHS) who has been accepted at an institute of higher education with plans to study agriculture, veterinary medicine, or a related field. Preference is given to those who exhibit a high level of involvement in school and community activities. Students at Shippensburg Area Senior High School (SASHS) who wish to apply for the Frank Lerew Memorial Scholarship may do so using the school's Local Scholarship Application. The application is available from the High School Guidance Office. The scholarship is awarded at the annual Scholastic Awards Program in May. Please see the school's web site at http://www.shipk12.org for more information, or contact the High School Guidance Office at (717) 530-2730.